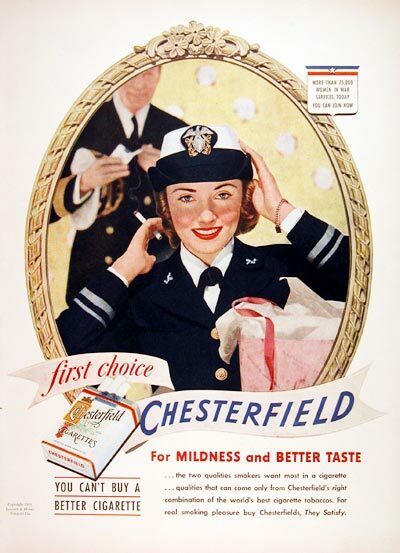 1943 Chesterfield Cigarettes original vintage advertisement. With focus on women in the war services. More than 75,000 women are in war services today. You can join now.